The Court of Appeal judgment contains a lengthy discussion of the legal basis upon which counsel are paid. In particular the position, when the right to recover the fee is “non-contractual”. The Court of Appeal rejected the arguments on the barrister’s behalf and allowed the appeal. Non-contractual barristers’ fees were unique in nature. A barrister had more than a mere moral claim to such fees and more than just a hope (or “spes”) that he would receive them. If needs be, the barrister could invoke the Bar Council’s “Withdrawal of Credit Scheme”, and a solicitor’s failure to pay a fee could potentially amount to professional misconduct. 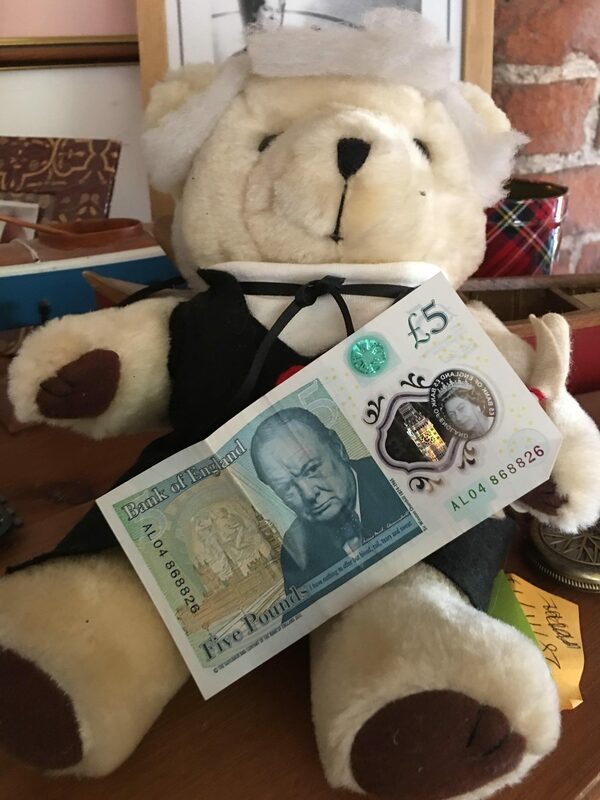 The highly unusual character of a barrister’s fee is also manifest in the client’s inability to revoke his solicitor’s authority to pay counsel and the solicitor’s right to reimbursement. The law recognised that, notwithstanding the absence of a contract, payment of an outstanding fee was not to be regarded as voluntary. In practice, a barrister would normally be paid. In the circumstances, it seems to me that a barrister’s fees, even when non-contractual, are “property” for the purposes of the 1986 Act and so vest in a trustee in bankruptcy. “Property” is explained in the widest of terms in section 436, but even that “definition” is inclusive rather than comprehensive. The Huggins case illustrates the breadth of “property” and provides an analogy to the present case. It would, moreover, be entirely anomalous if barristers’ fees were not viewed as “property”. Were any other professional to become bankrupt, his aged debt would vest in his trustee, and so should a barrister’s. The statutory objective, reflecting the principle of public policy recognised in Hollinshead v Hazleton, is that “subject to certain specific exceptions, all a debtor’s property capable of realisation should be vested in the trustee for him to realise and distribute the proceeds among the creditors” (in the words of Mummery LJ). Unpaid fees, regardless of whether they are contractual, are capable of realisation. The fact that something can be realised or turned to account does not invariably make it “property”, but it seems to me to point in that direction and, here, the expectation of payment is not founded on mere hope or morality but reflects the unique nature of non-contractual barristers’ fees. As I say, payment of such a fee was not to be regarded as voluntary. I respectfully take a different view from Judge Davis-White. I would allow the appeal and answer the preliminary issue in the affirmative. I agree that this appeal should be allowed for the reasons given by Newey LJ. I would like to add a few words of my own because it seems to me that this case raises a potentially important issue of human rights law. Article 1 of the First Protocol to the European Convention on Human Rights, which is one of the Convention rights set out in Sch. 1 to the Human Rights Act 1998 (“HRA”), guarantees the right to peaceful enjoyment of possessions. Nothing turns on the fact that this provision refers to “possessions” rather than “property.” In substance it protects the right to private property; indeed the word “property” appears later in the provision, where it refers to the control of “the use of property”. Like many Convention rights, this is not an absolute right but interference with it must be justified and in particular must comply with the principle of proportionality. It is clear that the right protected by Article 1 of the First Protocol is to be read broadly: see Harris, O’Boyle and Warbrick, Law of the European Convention on Human Rights (4th ed., 2018), p.850, where it is said that its essential characteristic is “the acquired economic value of the individual interest”. It is also clear that the right protects not only property rights in the conventional sense but “legitimate expectations.” The leading case in which the European Court of Human Rights summarised the relevant principles is Kopecký v Slovakia (2005) 41 EHRR 43, at paras. 35 and 45-52. A more recent summary of the principles can be found at paras. 58-60 of Tibet Mentes v Turkey (2018) 67 EHRR 13. At the hearing before this Court Mr Mohyuddin suggested that the concepts of property in the law of bankruptcy and in human rights law should be kept apart and not confused. However, the HRA is not an ordinary statute; it is a constitutional statute and permeates the entirety of the legal system. Of particular importance is section 3 of the HRA, which requires all legislation to be read and given effect, so far as possible, in a way which is compatible with the Convention rights. There is thus no dichotomy between insolvency law and human rights law: the strong obligation of interpretation which is to be found in section 3 applies to all legislation, including the Insolvency Act. Moreover, it does not require there to be any ambiguity before the strong obligation of interpretation arises. It seems to me at least strongly arguable that a barrister’s aged debts before 2013 should be regarded as legitimate expectations even if there was strictly no legal right to them. The proposition can be tested in this way. Suppose the state had attempted before 2013 to deprive a barrister of his or her aged debts without compensation. I find it hard to believe that that would not raise a serious issue, to say the least, under the HRA.